The dreaded grain tearout, caused, in this case, by grain that changed direction around the center of the board’s length. We’ve all experienced it. 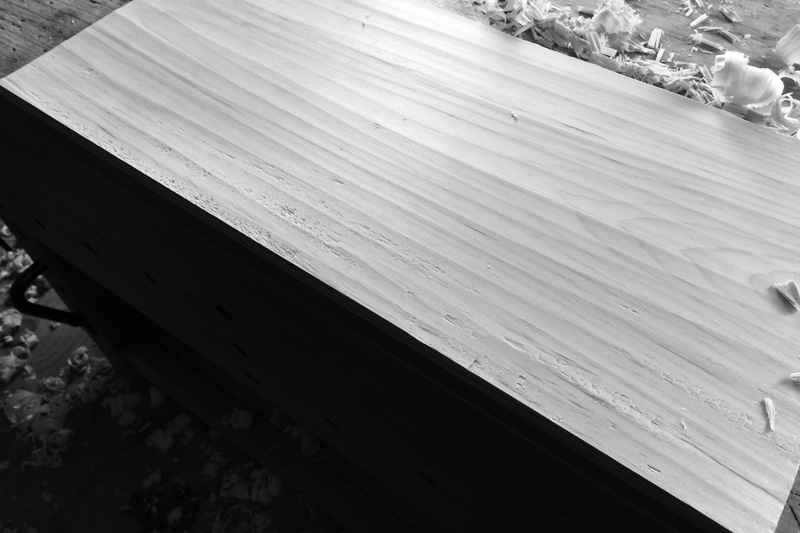 You’re preparing the face of a board (either by hand or with a jointer or planer) and things are going along just fine when all of a sudden, it happens. Tearout. No matter what we do, it’s just a fact of life. Wood is a natural material and is very rarely perfect. If your preference is for planes with tails, this might be a problem. But if you’re not averse to sweating a little, then the surface is typically easily repaired. In most cases, tearout is a localized problem. 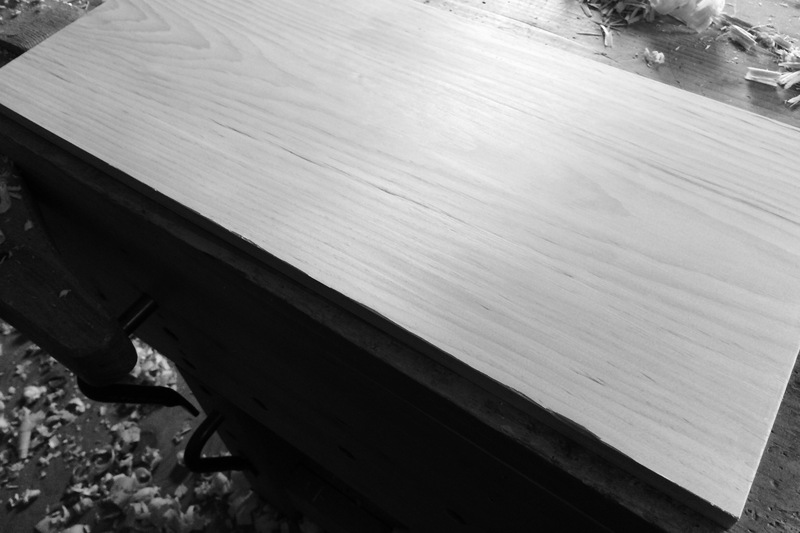 In the pine board above, for example, the grain changed direction on me about mid way. This grain change occupied a 2″ wide strip along the near edge of the board. The rest of the board planed fine from end to end. To remedy the tearout, the first thing I typically do is try planing in the opposite direction. In this case that only served to create tearout in the opposite direction because this grain changed direction in the center of the board’s length. You also need to be careful when simply changing direction not to creep over the line of grain direction change so that you don’t cause tearout in the rest of the board (the primary problem when using this strategy with a power planer). The solution was to plane in both directions, starting from the middle of the board. This is where a short plane shines. Using my small smoother, I could start in the middle, and plane toward the end of the board. Then I turned the board around and planed the other half of the torn out area in the opposite direction. The remainder of the board could be smoothed from end to end, all in the same direction. The whole process took about 3 or 4 minutes; much faster than trying to sand it all out. After planing the affected area in both directions, starting from the grain change at the middle, the tearout is removed. Posted in Materials, Wood and tagged tearout.